I think Izakaya Sensu is out to make me fat. 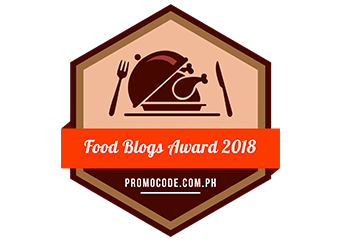 It wasn't enough for them to rollout delicious and bang for the buck rolls so they released its mouthwatering wagyu sukiyaki. 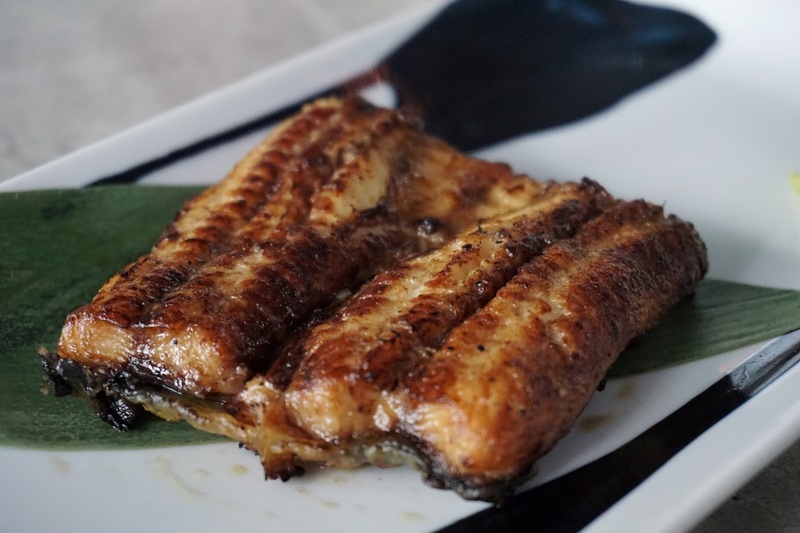 And now, they released an unagi line for its Unagi Festival. Izakaya Sensu, you have already won my heart and tummy so why do you keep making me drool?! Well, not that I'm complaining or anything close to that. I got an email from the lovely Mela of Raintree Restaurant inviting me to its Unagi Festival last August but I was out of the country that time so I missed its launch. Thankfully, the unagi festival is until the end of the month so I got my unagi fix as soon as I got back in Manila. 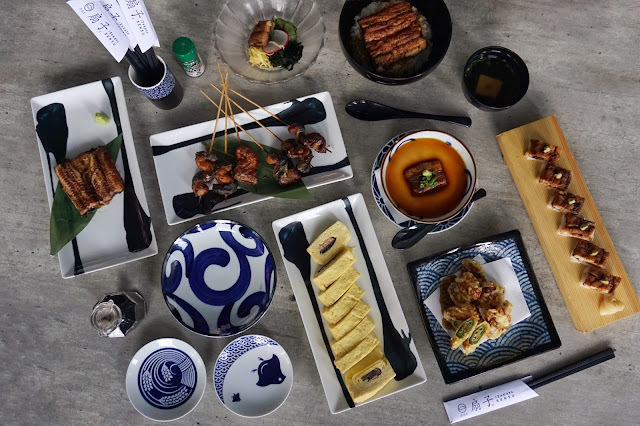 Eight delectable dishes are highlighted during the Unagi Festival and these are Uzaku (PHP350), Unagi Shira-Yaki (PHP650), Unagi Chawan Mushi (PHP220), Unagi Bo-Sushi (PHP425), Kurikara (PHP80/stick), Umaki (PHP400), Unagi Tempura (PHP620) and Una Don (PHP620). 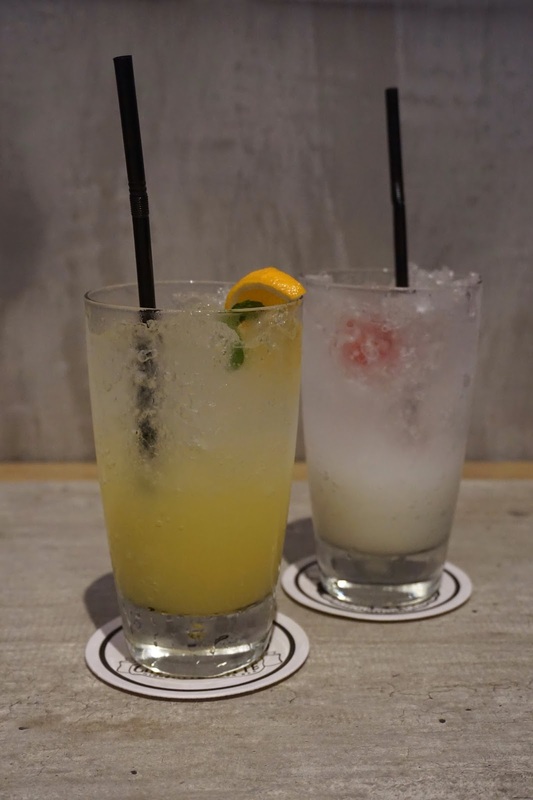 While waiting for our food, we tried Calpis Soda (PHP195) and Yuzu Citrus Mint (PHP195). 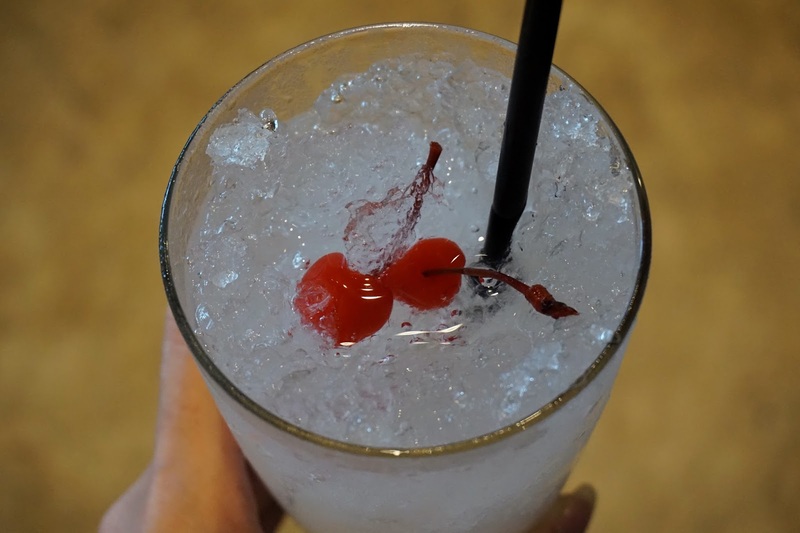 The Calpis Soda had a nice sweet taste with a kick of cherry flavor. 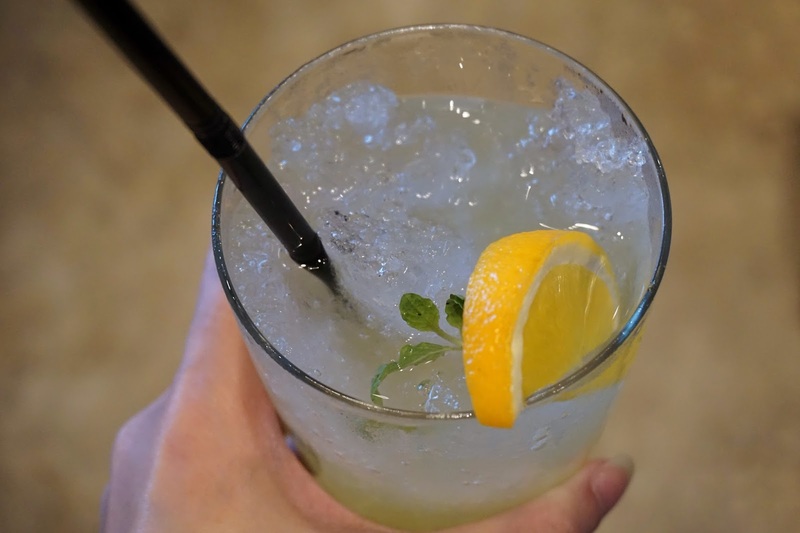 On the contrary, the Yuzu Citrus Mint was super tangy. Though it's a great palate cleanser, those who have low tolerance to anything sour wouldn't like this. 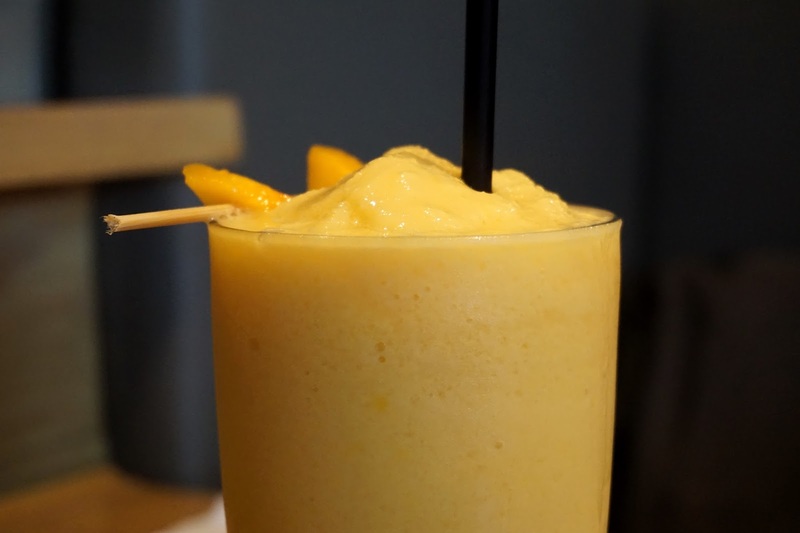 R also tried Mango Orange Yakult Smoothie (PHP195) and found it sweet and refreshing. I tried the Uzaku first and it had a nice mix of textures. 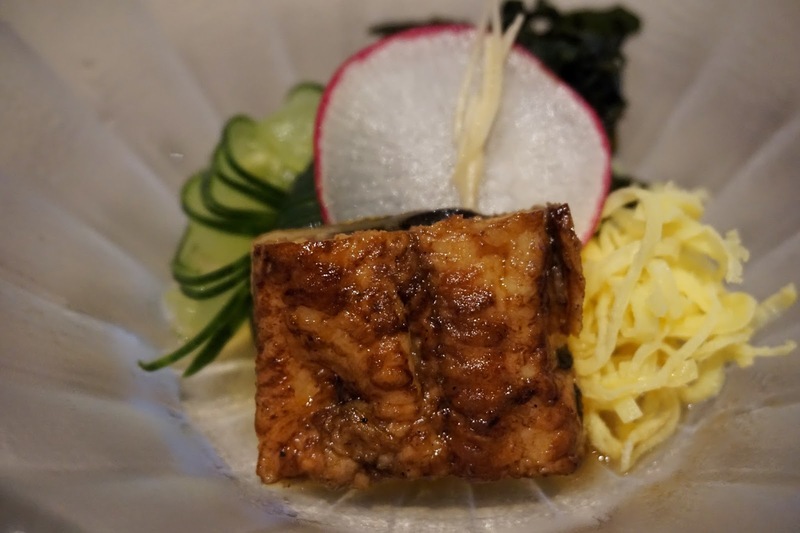 The tender unagi went well with the crunchy vinegared cucumber salad. It was definitely a nice dish to start the feast. 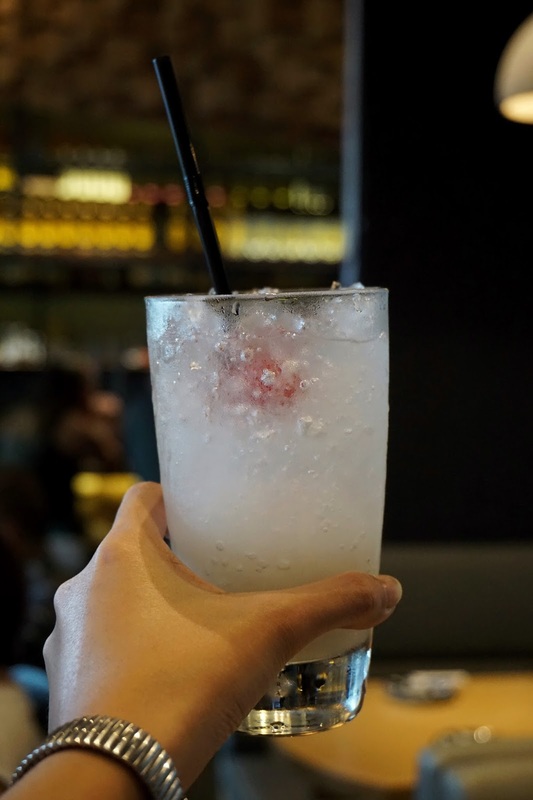 Though if you're on a budget, you might want to skip this one and go for the bang for the buck Kurikara. The skewered grilled unagi was addicting! I loved its sweet teriyaki taste. 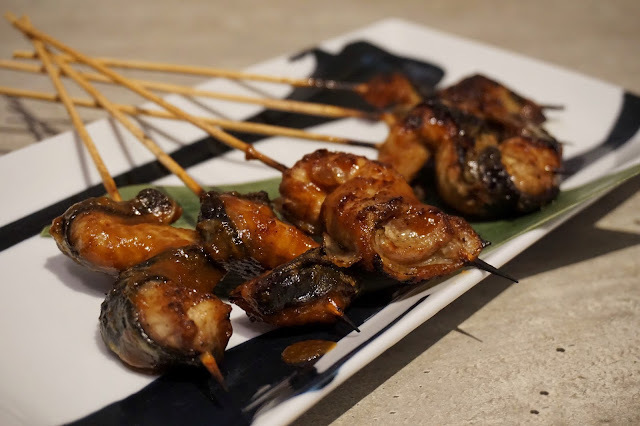 Its slightly tougher texture also made it more interesting and perfect for yakitori. If you want something lighter, the Unagi Chawan Mushi might be something you'd fancy. The bowl of steamed egg custard topped with a lovely cut of unagi had that delightful light taste that would leave you wanting more. 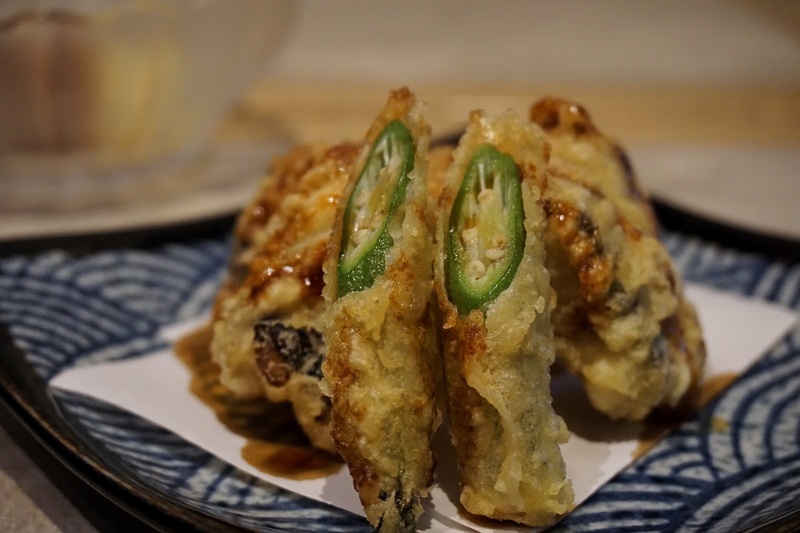 Foodies who want to play it safe could go for the Unagi Tempura. 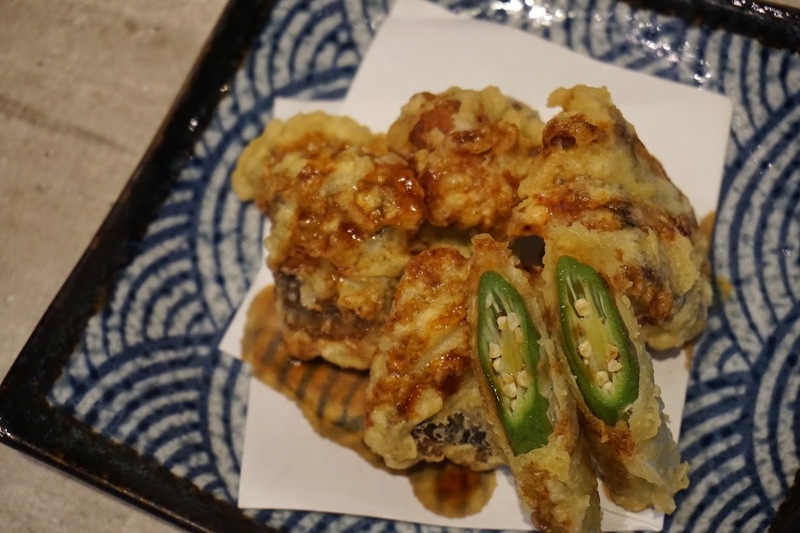 It's your usual battered Japanese goodness but instead of the usual ebi, this one is stuffed with eel. 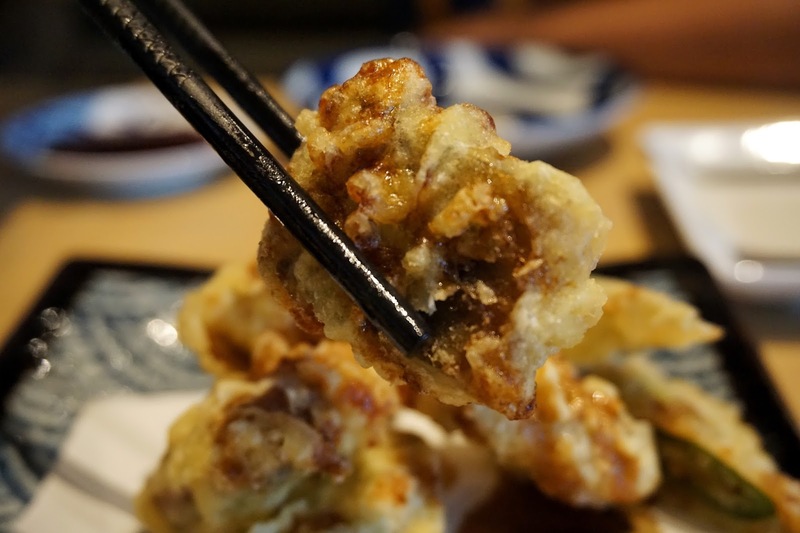 And I loved the contrast of the tender and sweet unagi and crunchy tempura batter. Each other also comes with battered okra. Umaki was one of the dishes I underestimated. 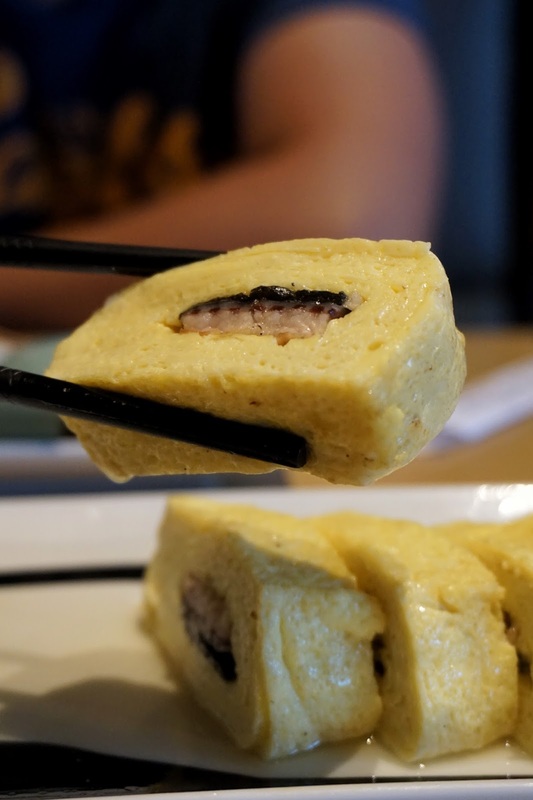 I thought that it would be a light dish just like chawan mushi but I realized that I was wrong after eating two rolls. It was one heavy dish and definitely for sharing. I forced myself to eat another roll as its fluffy texture was so irresistible. 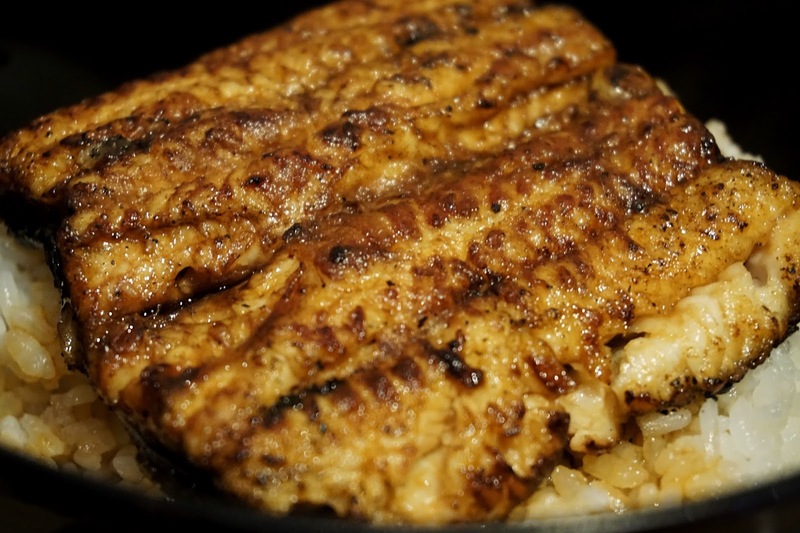 The Unagi Shira-Yaki, just like Kurikara was great. Each bite was oozing with flavor and its tender texture made every mouthful a bliss. However, I'd stick with Una Don instead of Unagi Shira-Yaki for it comes with Japanese rice and miso soup and it would save me PHP30. 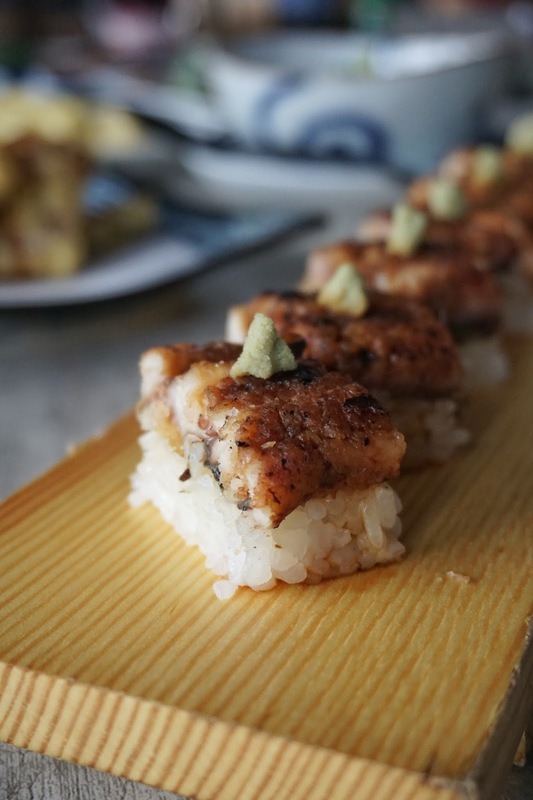 But if you want a quicker way to get your unagi and rice fix, then you might prefer Unagi Bo-Sushi. 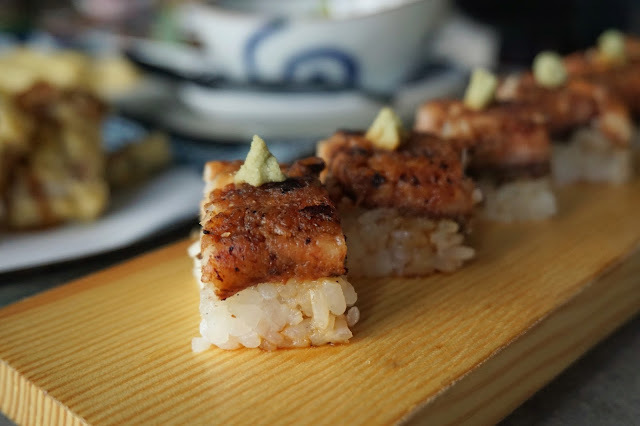 An order of this pressed sushi topped with unagi and wasabi could easily fill you up so make sure to share it with someone if you want to try other dishes. Overall, it was yet another lovely visit. I'll definitely swing by again to get more of Una Don! 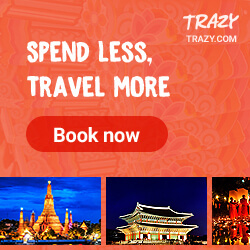 Izakaya Sensu is located at Ground Floor, Net Park Building, 5th Avenue, Fort Bonifacio, Taguig City.